African American Civil War Museum and Memorial honoring our ancestors who fought in the Civil War. Alonzo Northup (Solomon's son) of the US 26th Infantry, name on the memorial. 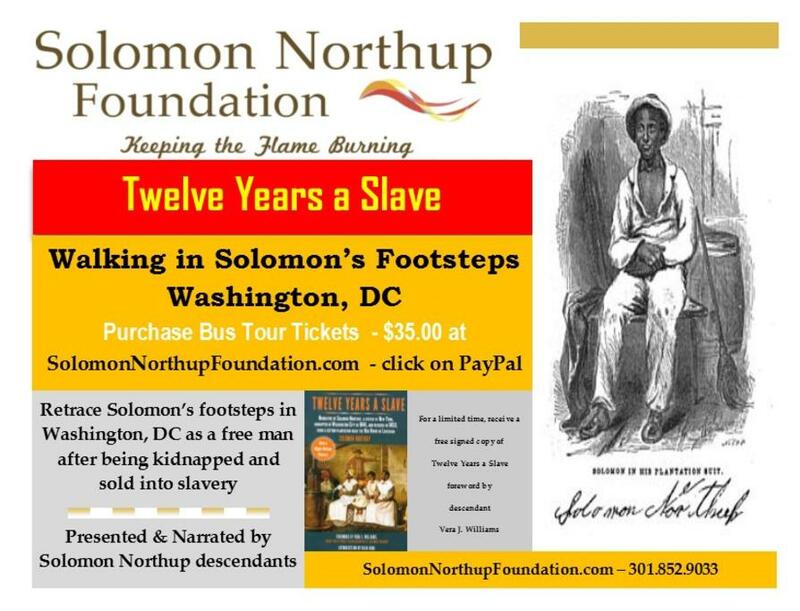 ​"African American Civil War Memorial & Museum"
"Walking in Solomon Northup's Footsteps in the Nation's Capital"
Bus Tour - Washington, D.C.